Christopher Mendez and Alannah Oleson received NSF Graduate Research Fellowships this year. Two students of computer science in the College of Engineering at Oregon State University received National Science Foundation (NSF) Graduate Research Fellowships that will provide three years of research funding while they attend graduate school. This prestigious award recognizes and supports outstanding early career graduate students in science, technology, engineering and mathematics disciplines. 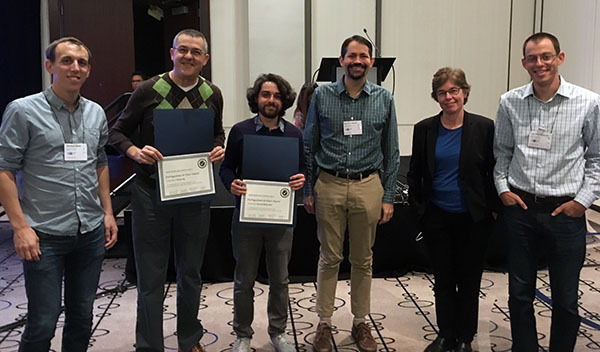 Christopher Mendez, a graduate student, and Alannah Oleson, an undergraduate, received the awards for research in the field of human-computer interaction (HCI). 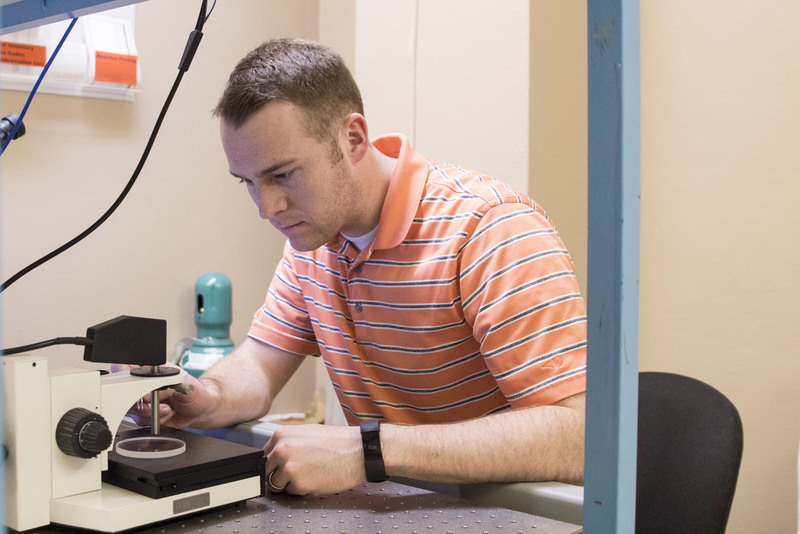 There were a total of eight students across the U.S. to receive the award for HCI research. This prestigious award recognizes and supports outstanding early career graduate students in science, technology, engineering and mathematics (STEM) disciplines. A total of 2,000 fellowships are awarded per year across all STEM fields. Both Mendez and Oleson are advised by Distinguished Professor Margaret Burnett who co-founded the area of end-user software engineering, which aims to improve software for computer users who are not trained in programming. 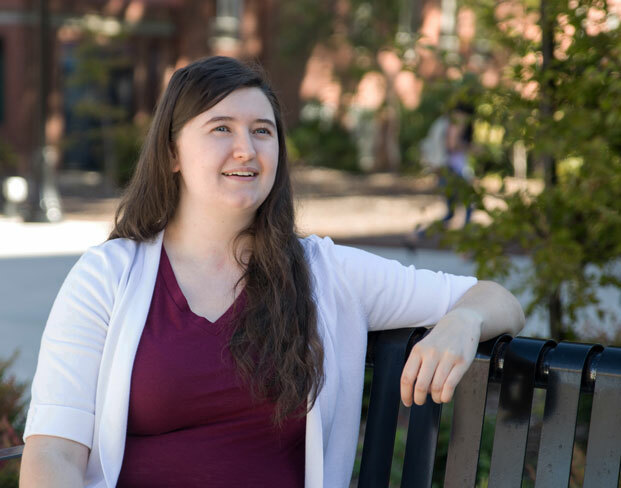 Her current research investigates gender-neutral software, uncovering gender inclusiveness issues in software from spreadsheets to programming environments. Mendez and Oleson are extending Burnett’s research into different areas: Mendez is investigating how technology can empower people of low socioeconomic status; and Oleson is researching how best to teach inclusive software design methods and principles to university-level computer science students. 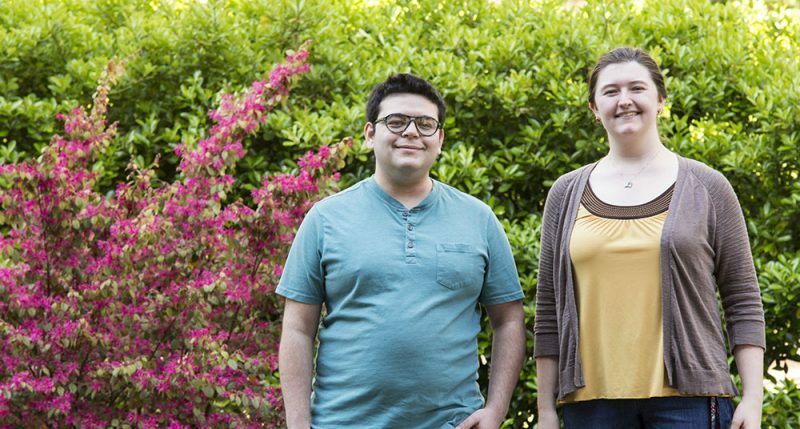 Mendez is continuing his research with Burnett at Oregon State, and Oleson will be starting graduate school next fall at the University of Washington. 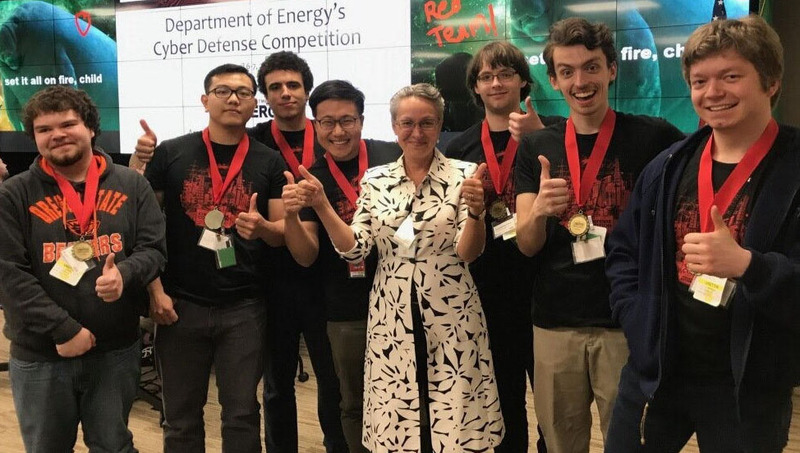 A team of six computer science students at Oregon State University competed for the first time and won the regional Department of Energy Cyber Defense Competition held at Pacific Northwest Laboratory in Richland, Washington. The competition simulates a real-world situation in which the teams defend a corporate network infrastructure from professional hackers. Each team built a mock infrastructure including a web server, a file server, a database server, email, and other network operations. During the competition, a group of users utilized the services while the hackers launched attacks. The defending teams had to monitor and respond to the cyberattacks throughout the day and were scored on how well they defended their infrastructure and how well they documented what they had done. The Oregon State team placed first among six teams from the western U.S. at the regional competition, and placed fourth nationally among 29 teams. Zander and the other five students who competed — Aidan Grimshaw, Cody Holliday, Khuong Luu, Hadi Rahal-Arabi and Zach Rogers — are all members of the OSU Security Club. Kenneth Squire did not know what to expect when attending his first academic conference — SPIE Photonics West 2018, a conference about light-based science and technology. So, he was pretty surprised to take home two awards. “It’s really exciting to get that recognition and to know that I am capable of doing research and presenting my findings at that level,” said Squire, a graduate student in electrical and computer engineering in the College of Engineering at Oregon State University. Squire’s research advances techniques to detect antigens such as biotoxins that can infect food or biomarkers for disease. His research is under the direction of Alan Wang, associate professor of electrical and computer engineering who heads the Engineering Photonics Research Laboratory in the School of Electrical Engineering and Computer Science. In this research, Squire, along with Dr. Xianming Kong and other collaborators, were able to enhance the optical signals for florescence imaging using diatoms, which are single-celled algae. “The hope is that this can be used for cellphone based biosensors,” Squire said. Sensitivity is the challenge for developing sensors that can be used outside of pristine laboratory conditions. “Using these diatoms, we were able to enhance the sensitivity. So, even though your equipment isn’t quite as good, and even though you don’t have the perfect conditions, you can still get detection levels that are practical,” Squire said. They have applied for a patent on the technology and are currently working on an application to detect a biomarker for cardiovascular disease. This research utilized the fossilized remains of diatoms, called diatomaceous earth, which is sometimes used for filters. The device that Squire, Kong and collaborators developed was able to separate the target from other material in the sample, and enhance the optical signals for better detection of biotoxins that can infect food. The study demonstrated successful detection of Sudan I, an illegal carcinogenic dye, in various chili products, and histamine, a naturally occurring toxin, in seafood that was intentionally contaminated and in decomposing tuna. The device, called a thin layer chromatography plate, separates the target molecule from the rest of the sample matrix and enhances the performance of the detection. The detection method that was employed uses scattered light from a laser which creates a unique fingerprint for different molecules (surface-enhanced Raman scattering). “The Photonics West conference was a great opportunity to present our work. Leading up to the conference, many of our group members were instrumental in the preparation and polishing of the presentations that led to these awards and I am very grateful to them for their help and support,” Squire said. Optical biosensing is a growing area of research known for its low limits of detection. Among optical sensing techniques, fluorescence detection is among the most established and prevalent. Fluorescence imaging is an optical biosensing modality that exploits the sensitivity of fluorescence in an easy-to-use process. Fluorescence imaging allows a user to place a sample on a sensor and use an imager, such as a camera, to collect the results. The image can then be processed to determine the presence of the analyte. Fluorescence imaging is appealing because it can be performed with as little as a light source, a camera and a data processor thus being ideal for nontrained personnel without any expensive equipment. Fluorescence imaging sensors generally employ an immunoassay procedure to selectively trap analytes such as antigens or antibodies. When the analyte is present, the sensor fluoresces thus transducing the chemical reaction into an optical signal capable of imaging. Enhancement of this fluorescence leads to an enhancement in the detection capabilities of the sensor. Diatoms are unicellular algae with a biosilica shell called a frustule. The frustule is porous with periodic nanopores making them biological photonic crystals. Additionally, the porous nature of the frustule allows for large surface area capable of multiple analyte binding sites. In this paper, we fabricate a diatom based ultra-sensitive fluorescence imaging biosensor capable of detecting the antibody mouse immunoglobulin down to a concentration of 1 nM. The measured signal has an enhancement of 6× when compared to sensors fabricated without diatoms. Surface-enhanced Raman scattering (SERS) spectroscopy has attracted considerable attention recently as a powerful detection platform in biosensing because of the wealth of inherent information ascertained about the chemical and molecular composition of a sample. However, real-world samples are often composed of many components, which renders the detection of constitutes of mixed samples very challenging for SERS sensing. Accordingly, separation techniques are needed before SERS measurements. Thin layer chromatography (TLC) is a simple, fast and cost-effective technique for analyte separation and can a play pivotal role for on-site sensing. However, combining TLC with SERS is only successful to detect a limited number of analytes that have large Raman scattering cross sections. As a kind of biogenic amine, histamine (2-(4-imidazolyl)-ethylamine) has a relationship with many health problems resulting from seafood consumption occurring worldwide. Diatomaceous earth consists of fossilized remains of diatoms, a type of hard-shelled algae. As a kind of natural photonic biosilica from geological deposits, it has a variety of unique properties including highly porous structure, excellent adsorption capacity, and low cost. In addition, the two dimensional periodic pores on diatomite earth with hierarchical nanoscale photonic crystal features can enhance the localized optical field. Herein, we fabricate TLC plates from diatomite as the stationary phase combining with SERS to separate and detect histamine from seafood samples. We have proved that the diatomite on the TLC plate not only functions as stationary phase, but also provides additional Raman enhancement, in which the detection limit of 2 ppm was achieved for pyrene in mixture. Alannah Oleson was selected as a finalist for the Computing Research Association’s (CRA) Outstanding Undergraduate Researcher Award. The award recognizes undergraduates who have made significant contributions to research. 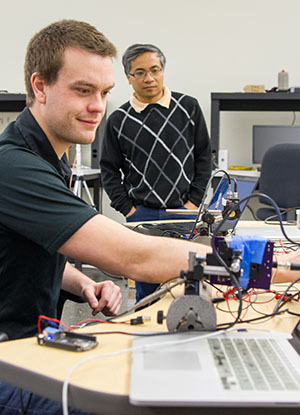 For the past three years Oleson has been working with Margaret Burnett, Distinguished Professor of computer science in the College of Engineering, who studies human computer interaction. Oleson has worked on two different areas of research with Burnett: end-user programming and gender-inclusive software. Oleson’s involvement has been extensive, including helping to plan and program the studies, debug procedures, collect and analyze data, and write up the results. She is co-author on six research papers and is one of the primary co-authors of a document describing the foundations of GenderMag, which is a software inspection process for programmers to uncover gender inclusiveness issues in software. Last year, Oleson was one of 10 women to win the Adobe Research Women-in-Technology Scholarship. ACM OOPSLA’17 conference. From left to right: Michael Bond, Danny Dig, Davood Mazinian, Jonathan Aldrich, Gail Murphy, Sam Tobin- Hochstadt. Danny Dig with his students and collaborators won four prestigious research paper awards at international conferences this year. Dig, an associate professor of computer science in the College of Engineering at Oregon State University, researches software engineering. His focus is on interactive program transformations that improve programmer productivity and software quality. ICSME ’17 conference. From left to right: Nick Nelson and Thomas Zimmermann. Are Web Applications Ready for Parallelism? 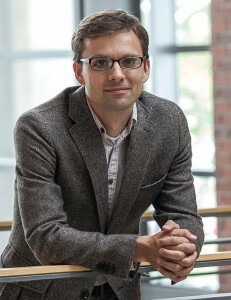 Mike Rosulek, assistant professor of computer science in the College of Engineering at Oregon State University, received a Visa Faculty Research Award to advance methods of customer privacy and fraud detection. “We’ve known for several decades that cryptography can protect not just data at rest, but also data in use, at least in principle. Finally, in the last several years these cryptographic ideas have been improved to become truly practical,” Rosulek said. Rosulek and his colleague at Visa, Payman Mohassel, will be working to improve a tool from cryptology called private set intersection, which allows two parties to find items in common on two separate lists without revealing any other information from the lists. Their research will help make complicated queries faster to process. For example, a company may want to know how many customers they have in common with another company without revealing who those customers are. The funds will support one graduate student for a year who will be helping to develop new prototypes that would make advanced cryptography practical for companies. 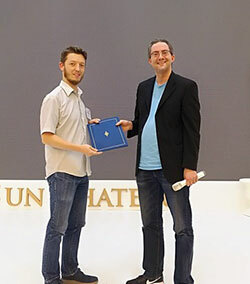 “This award demonstrates that industry leaders see the potential of advanced cryptography to protect data during use and solve real-world privacy challenges,” Rosulek said. Gabor Temes, professor of electrical and computer engineering in the College of Engineering at Oregon State University, will recieve the 2017 University Research Award from the Semiconductor Industry Association (SIA). 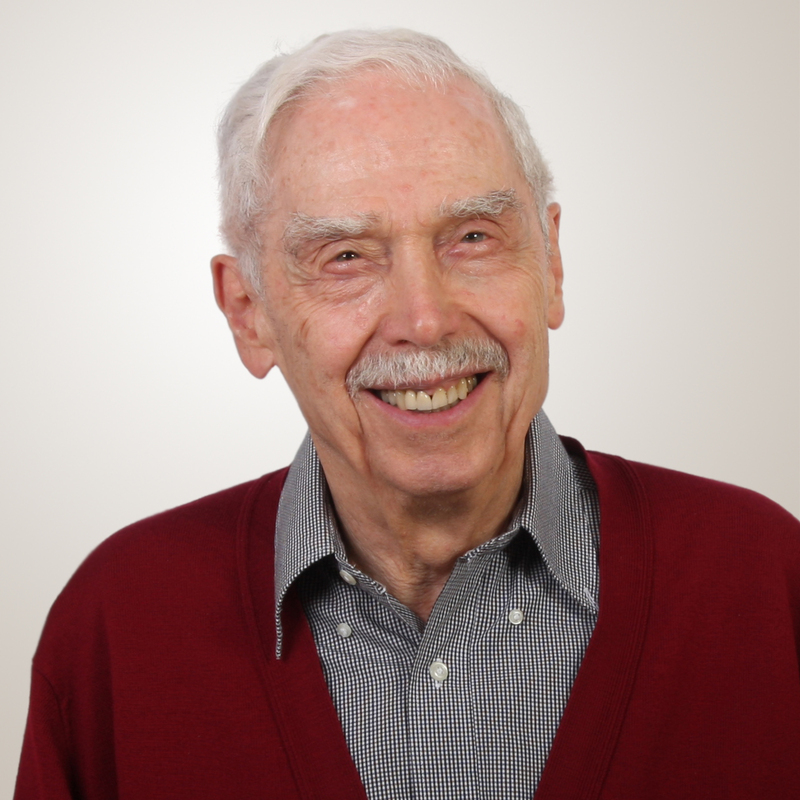 The award recognizes his excellence in research for contributions in interface electronics, including analog-to-digital and digital-to-analog converters, switched-capacitor filters and amplifiers, and sensor interfaces. Temes has a 60-year career that has spanned industry and academia. His research in the area of analog integrated circuits – the interface between the “real” analog world and digital signal processors – has improved the quality of sound and data communications. He holds 14 patents and has more than 500 publications, including several books. His long career has earned him many accolades including the IEEE Kirchhoff Award and election to the National Academy of Engineering. He will receive the award in conjunction with the SIA Annual Award Dinner on Nov. 14, 2017 in San Jose, Calif.
Alannah Oleson’s award led to a summer internship with Adobe in San Jose. Alannah Oleson, undergraduate student in computer science at Oregon State University, was one of a handful of students from all over the world to win the Adobe Research Women-in-Technology Scholarship. The scholarship acknowledges women who are improving technology and have demonstrated outreach for their community. Oleson is helping to improve technology in the area of human-computer interaction (HCI) with Margaret Burnett, distinguished professor of computer science. Oleson is working on the GenderMag project which helps programmers to design gender inclusive software. Her outreach to the community included mentoring two high school students through Saturday Academy, which is a program designed to help students from under-represented communities gain experience in STEM fields. She taught them how to program and what it is like to work on a research project. A couple of years after the summer-long program, Oleson saw one of her students at Oregon State going through engineering orientation. Oleson felt proud to see him choose to major in computer science after participating in the Saturday Academy program. “To see him go from whatever he had overcome to being a computer scientist and feeling like I played a part in that was really cool,” Oleson said. Scholarship winners are awarded $10,000 and a one-year creative cloud subscription; are assigned an Adobe research mentor; and are given an opportunity to interview for an Adobe internship. Oleson succeeded in receiving an Adobe internship and worked in San Jose, CA for 10 weeks on a research team this summer. “All I had known was living in Roseburg, so the experience of being in the middle of the tech world was fantastic. It made me feel more confident in my career,” she said. After the internship, Adobe decided to sponsor Oleson’s senior capstone project. In the future, Oleson hopes to pursue a Ph.D. in human-computer interaction and eventually work in industry research. 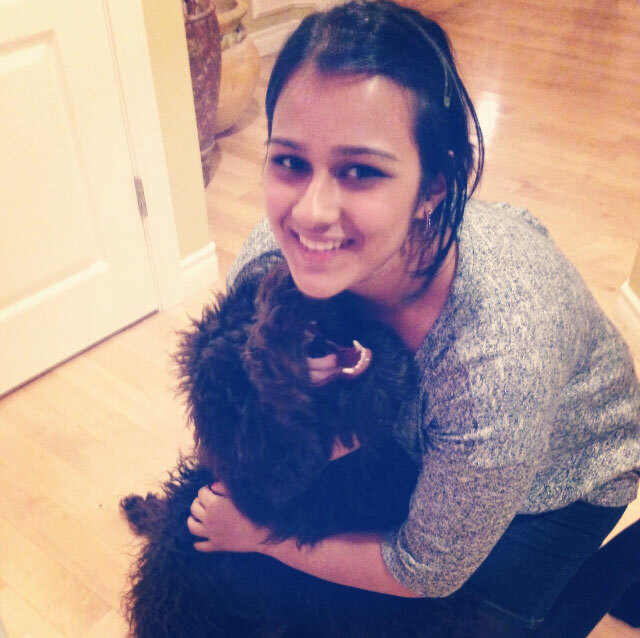 Anushka Pandey recommends taking breaks from studying. The first term of college can be intimidating — especially in an engineering major where you will be taking calculus and other technical courses as early as your first term. As an electrical and computer engineering major with no prior programming or robotics experience, I was incredibly nervous when I first started at Oregon State University. But I managed to find a good balance; and now I’m going into my senior year with an on-campus job, a research position in a lab and active participation in two clubs. Your transition from high school can be easy if you try to stay organized and maintain a good balance of academics and social life. When things get hard, definitely ask for help. Your advisors and instructors will be understanding and help you find the right resources. Mark out your midterms and quizzes on your calendar as soon as you get the syllabus for all your classes. It helps a lot to know when the exams are ahead of time — you won’t be caught off guard and can study ahead. Doing this at the start of the term makes you feel very organized and prepared. In fact, having just one calendar with all your due dates and even club meetings and extra-curricular activities is a great way to plan out your schedule. Seniors can seem intimidating sometimes, but they are just as approachable and friendly as anyone else. Don’t be afraid to talk to people outside of your grade. They are often great people to hang out with, and can give you invaluable advice since they’ve already been through your classes and some of your experiences. I met some of my closest friends through the engineering sorority Phi Sigma Rho. Meeting with your academic advisor is important, especially if you have questions about changing majors or talking about career options. It can be easy to forget to schedule an appointment but if you wait too long all the appointments could be filled up — so definitely plan ahead. Taking small breaks from studying and homework can help a lot with productivity — it’s important to not get burnt out. Find something fun to do, like hiking, reading, trying out a new coffee shop or just watching a TV show every so often. If you can find people from your dorm or your classes to do these things with, it can be a great way to de-stress. There are many physical activity courses like bowling, billiards, ballet and scuba at OSU that are just one credit and very easy to accommodate in an engineering major’s schedule. When I have a difficult term with many technical courses, it helps to have one easy class to balance it out. This could even be a baccalaureate core class. 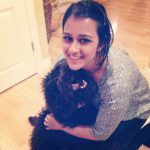 I’m an international student from Mumbai, India. I’m an Ambassador for the College of Engineering and a mentor for Women and Minorities in Engineering. I’m part of the academic sorority Phi Sigma Rho. I’m interested in medical devices and have been working on a research project in the soft robotics lab. I’m a huge fan of the Lord of the Rings series and watching TV shows in my free time.